Chances are that your children are more tech savvy than you are. Are you on the wrong side of the Great Digital Divide? Do you have the right tools to operate in the new Mobile World? Are You Using E-Mail Marketing? What is E-mail Marketing and why should it be part of your Social Media Strategy? Email marketing is best defined as the practice of sending an email,electronically, to a group of people on a list to sell and promote a product or service. Email marketing is immediate as all e-mails are sent simultaneously to your subscribers. Using e-mail marketing permits you to create newsletters, announce promotions and special events, in advance, and schedule specific dates for them to be sent out. With email marketing, you can track, at a glance, who is reading your e-mails and how many clicks you are getting on the links placed in your messages. To learn more about what you need to know about e-mail marketing, CLICK HERE, or below to listen to my interview with an executive from the leading e-marketing company, Constant Contact. THE WORLD OF TECHNOLOGY. WHAT YOU NEED TO KNOW. – Do you have the right equipment to support your business and personal needs? – Confused by all the new gadgets being introduced almost on a daily basis? – Do you know what type of smartphone (iPhone, Android, blackberry) is right for you? – Do you understand the new data plans that have been introduced by your wireless service provider (Verizon, AT&T, Sprint, etc.)? 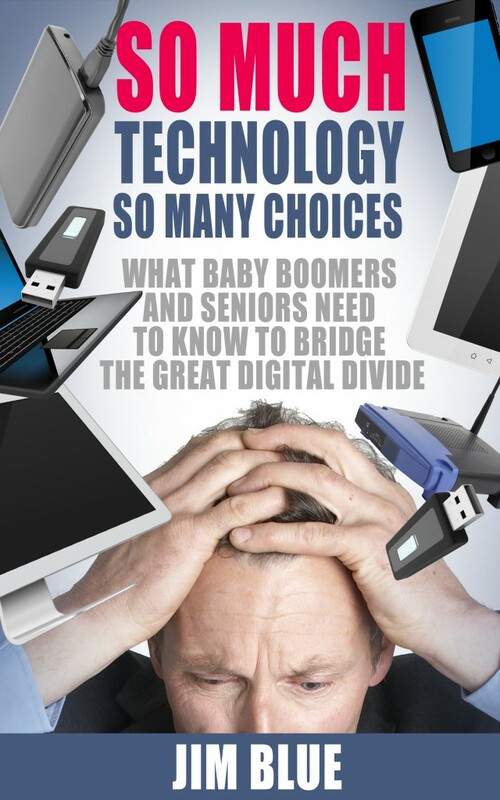 – Are you or someone you know going through career transition and need help determining their technology needs? – Need to set up a home office? These are just a few topics that I discuss on my weekly radio program. While the shows are aired every Thursday at 4:30 PM, you can click on the link below to access the archives of all past programs at anytime. The topics as well as the names of guest speakers are listed for each show. If you have any questions about any of the topics discussed, please contact me at 917 921-4518 or by e-mail at jblue@bluetutor.com for a FREE telephone consultation. Feel free to visit my website, www.bluetutor.com for more information about my services. To hear the latest program, click on the play button (>) below. To access my program site and the archives, click on my name (Jim Blue). STILL NOT INTERESTED IN SOCIAL MEDIA? “We don’t have a choice on whether we do social media, the question is how well we do it.” – Erik Qualman, author of Socialnomics: How Social Media Transforms the Way We Live and Do Business. If you don’t believe the impact that social media has had on our lives, both personally and professionally, click on the link below and listen to this remarkable video. The statistics are several months old, however the message is loud and clear. The most interesting statistic I found was the one indicating that 93% of marketers use social media for business – do you? If you want to discuss what social media can do for you, whether on a personal or professional level, do not hesitate to contact me at 917 921-4518 or by e-mail at jblue@bluetutor.com. Feel free to click here to receive my free white paper on Technology Tips on setting up a home office and becoming a true road warrior. You’ve just purchased a brand new iPad. Congratulations!! If you bought the model with the 4G data service from either Verizon or AT&T, here are some things you need to know about using your iPad when traveling out of the United States. 1. The data service should be turned off before you leave. That means you must switch to Airplane mode. When overseas, you are roaming which means the cost of using the a US based data plan is very high. 2. If you want to access the Internet while traveling, use a wireless (wi-fi) connection which is usually FREE. Most hotels offer wi-fi, and while most places offer it for free, you might run into a situation where there might be either a daily or hourly rate. 3. Most Internet cafes abroad offer Internet access by the hour. 4. If you are unable to locate a place with wi-fi and need to use a data service, you can purchase a micro sim card to insert into your iPad. These local data providers offer plans that are significantly cheaper than activating an International program from either Verizon or AT&T here in the United States. 5. Most public wi-fi “hotspots,” whether hotels, airports, Internet cafes, etc. are not secured, meaning that anyone in the network can see what you are doing on your computer. In other words, do not use a public unsecured “hot spot” to access bank accounts, use credit cards or any other private information. If you are staying at someone’s house who has wifi, ask whether their network is secured and for a password to access their network. If no password is required, it is not a secured network. 6. If you want to stream a video from Netflix, or use an online service such as Skype, make sure you are doing so from a w-fi connection. Using your data service, whether from the U.S. or a local provider overseas, will use up your allowable data plan quickly. For example, watch 2 Netflix movies with the 4G service will use up to 90% of your monthly allowance. 7. Lock your iPad with a password. If you are doing a great deal of traveling, it is not difficult to leave it somewhere or have it stolen. If you have any questions about the iPad or any other technology issues, do not hesitate to contact me at 917 921-4518 or by e-mail at jblue@bluetutor.com. Feel free to click here to receive my free white paper on Technology Tips on setting up a home office and becoming a true road warrior. The stylus is back!! Remember the Palm Pilot, the first hand held device totally reliant on a thin stylus that slipped into a sleeve on the side of the unit? Well, a newer, slightly thicker version has emerged. With the popularly of the iPhone and the various tablets on the market, the new stylus has helped many of us who have had difficulty with the touch screens. In addition, the new stylus, with a felt tip, permits people who would like to use one of the apps like noteability for handwriting and drawing directly onto the tablet. For those of us with chubby fingers or difficulty with on screen keyboards relief is finally here. I also find that writing notes on my iPad a plus. As for the iPhone, using the stylus for typing has substantially reduced the amount of time it takes me to write an e-mail. As indicated in past blogs, not all gadgets are meant for everyone. While many people are comfortable with on screen keyboards, the stylus is a useful tool. If you have any questions about the stylus, iPhones, iPads, etc., do not hesitate to contact me at 917 921-4518 or by e-mail at jblue@bluetutor.com. Feel free to click here to receive my free white paper on Technology Tips on setting up a home office and becoming a true road warrior. IS THE “NEW” iPAD FOR YOU? The big news in the tech world this past week has been the launch of the “New” iPad. This third generation iPad has received a great deal of press both before and after the launch. The first question you must ask yourself is whether or not a tablet is for you. The iPad is still the number one ranked and best selling tablet. If you already own one, then you must evaluate the merits of upgrading to the “latest and greatest.” For those of you who have never owned one, the major issue is to determine whether a tablet will address your technology needs, whether for personal or professional purposes. As indicated in previous posts, the tablet has proven to be an ideal substitute to the much heavier laptop computer for the road warrior. Tablets are excellent for communication (email, messaging, skype, etc) and getting information (news, weather, restaurants, movies, games, etc). For those of you that do a lot of writing, there are many keyboards on the market that make typing much easier than the touch pad. However, despite publicity to the contrary, it does not replace a computer since there are many functions that require a computer. During the past few months, I have introduced the iPad to several clients who have never used a computer. 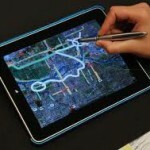 Tablets have proven to be the ideal solution to techno-phobics who had previously been reluctant to embrace technology. The larger screen and easy access to “apps” has changed their world. If you have been considering your first tablet purchase, take some time to sit down and write down your technology needs. There are many options to choose from, the iPad, Nook, Kindle, etc. As for those of you considering an upgrade, the new iPad offers a faster processor, high resolution screen, 4G wireless service, and a far better camera than the earlier models. However, like many new products, there are several issues that have surfaced that must be considered before you decide to upgrade. The iPad offers two ways of accessing the Internet. The popular choice is the faster wireless 4G network, at this time provided by both Verizon and AT&T. The monthly charge for this service is based on the amount of data used. The other, and free method, is any wi-fi network, such as set up in your home, hotels, some airports and coffee shops (Starbucks). Try steaming movies through the 4G wireless network and you will find that your data costs will skyrocket. An article in today’s Wall Street Journal, http://on.wsj.com/GBIDcO, offers a full explanation of what to expect if you use the 4G wireless network and the costs associated with it. 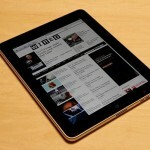 Other reports indicate the new iPad might have a overheating issue, which Apple is looking into. If you need help determining whether the new iPad is for you as a new purchase or whether you should consider the upgrade, do not hesitate to contact me at 917 921-4518 or by e-mail at jblue@bluetutor.com. Feel free to click here to receive my free white paper on Technology Tips on setting up a home office and becoming a true road warrior.